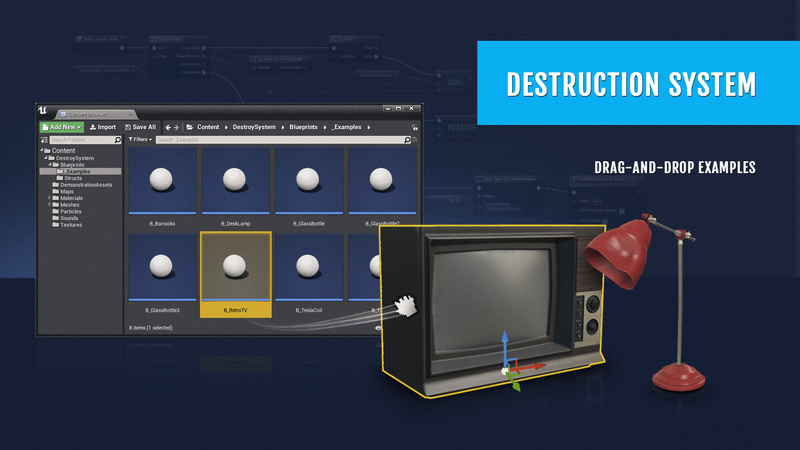 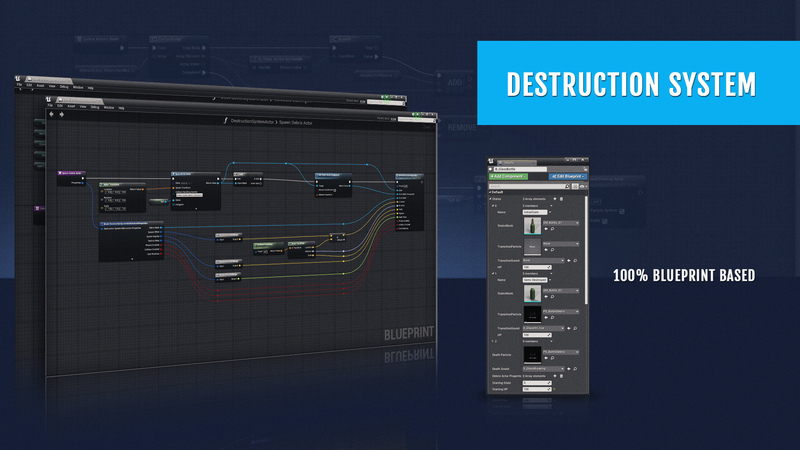 Destruction system uses predefined list of static meshes that represent object’s different states of damage. 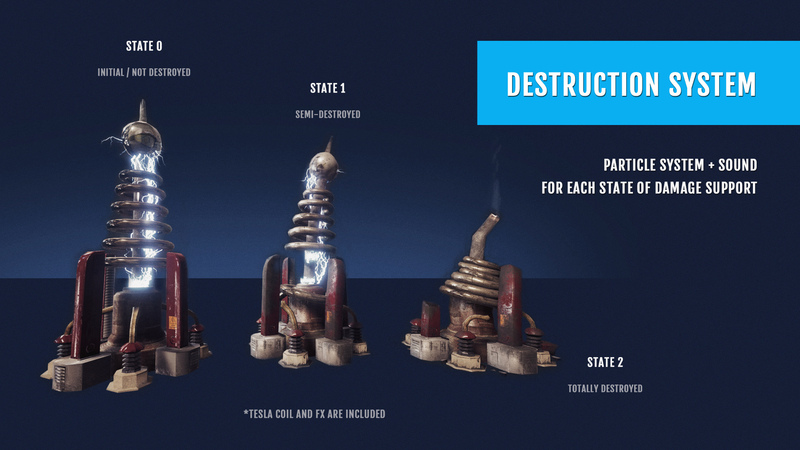 The system allows you to easily switch from one state to another by applying damage to the object. 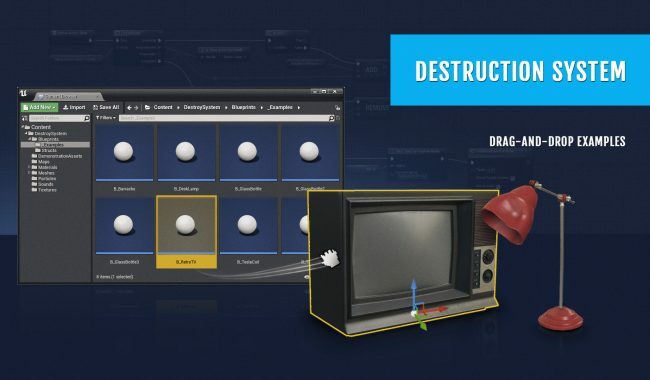 Additionally, any audio or particle system can be used to make a smooth transition between states. 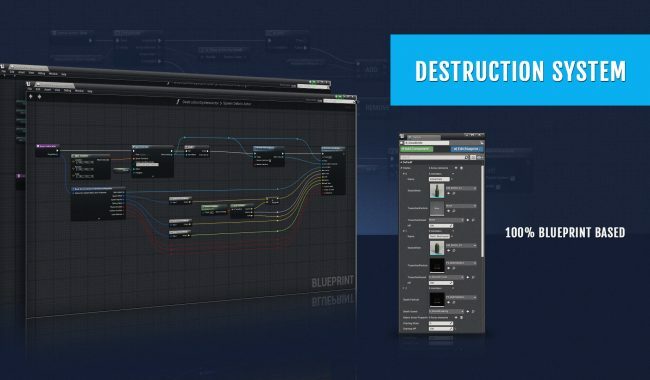 *Use „iamfromblog” code and get -15% off!